Does My Air Compressor Tank Need ASME Certification? ASME stands for American Society of Mechanical Engineers. It is a professional association that "promotes the art, science, and practice of multidisciplinary engineering and allied sciences around the globe." They control the gateway to top-level certification on air compressor tanks, water tanks, boilers, etc. While not every residential air compressor tank legally requires ASME certification, this is not true of commercial air compress​or systems. That being said, ASME sets the bar high for quality control. The regulations and codes they set regarding PSI threshold in tanks and pressure valves are ones that matter to government inspectors. They're also the ones that will keep you safe at home. We insist on getting ASME certification on all our tanks because it essentially guarantees the quality and safety of our products. The ASME label is seen on commercial-grade tanks nationwide, but whether a tank is code or non-code, there are national, state and local laws that the end user must abide by. Ultimately, the safe and appropriate use of a tank comes down to who is operating the air compressor, and it is their responsibility to comply with safe use standards and best practices. We offer incredibly high-quality tanks that are ASME certified, so we can do our part to encourage safe use practices in shops and garages across the country. Should I Get an 80 or 120 Gal ASME Tank? 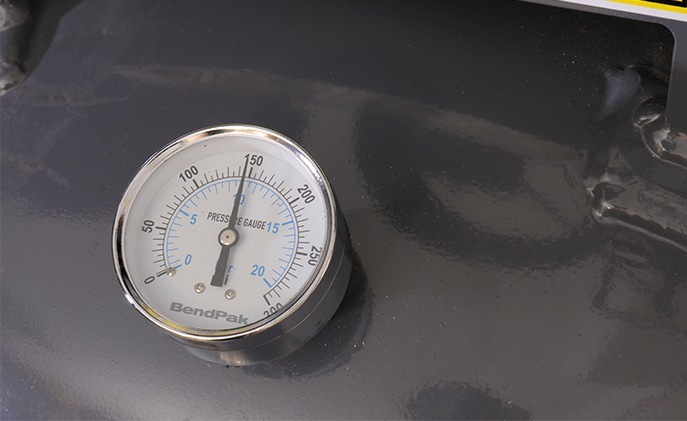 The tank size you choose is entirely dependent on how frequently you use your air compressor. 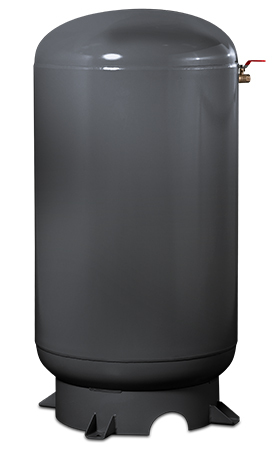 If you need constant or near-constant running air, a 120 gallon tank will go a long way toward eliminating downtime. That's why we offer a backup 120 gallon ASME tank. Most of our compressors feature 80 gallon tanks because their energy-efficient motors are sufficient for many small to medium-sized shops. However, larger or busier shops, especially those that may have multiple techs working off the same unit, may benefit from a 10 HP / 120 gallon V-Max Elite air compressor. Such shops may also consider an 80 gallon model with the 120 gallon backup tank.